The ADC-VC826 is an outstanding fixed dome camera for indoor and outdoor environments. It offers clean 1080P HD recording quality and IR night vision for capturing video in the dark. The device can integrate with Alarm.com and utilize power over ethernet (PoE) technology. Buy the ADC-VC826 here. The Alarm.com ADC-VC826 Indoor/Outdoor Dome Camera is the optimal dome camera for both residential and commercial settings. Its fixed dome design makes it resistant to tampering, and the camera's 1080P HD capture quality produces truly crystal-clear video recordings whenever it is in use. The ADC-VC826 is ideal for Alarm.com users who want an indoor or outdoor camera that is easy to install, yet difficult for intruders to tamper with. Its vandal-resistant exterior casing offers supreme protection against any break-in attempts. This robust protective casing also provides the camera with a highly impressive IP67 weather rating. It is waterproof and dust-tight, making it suitable for virtually any environment. Users can install this camera with confidence in knowing that it will work properly in even the harshest of areas. It can even withstand temperatures ranging from -22°F to 140°F. As a camera, the ADC-VC826 features a remarkable 108° viewing angle, a 2.8mm F1.6 lens, an IR night vision range of up to 95 feet, and of course a full 1080P HD recording quality. With the addition of a stream video recorder, the ADC-VC826 can be configured for a continuous 24-hour recording schedule. And thanks to its power over ethernet (PoE) support, the camera does not even need a plug-in transformer to stay powered. Instead, it can receive full power from a basic ethernet connection. Image adjustments for flip, brightness, contrast, saturation, sharpness and exposure are available. The dome camera has a pan range of 0° to 355°, a tilt range of 0° to 75°m and a rotation range of 0° to 355°. Everything that a user needs to set up the ADC-VC826 comes packaged with the device. This includes all of the mounting hardware, a camera stand, a drill template, and a hex key Allen wrench. The complete mounting process can be done by a DIY user with minimal effort. 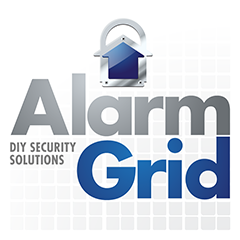 Additionally, the camera is extremely easy to integrate with the Alarm.com platform. The camera weighs in at just over a pound, and it is a very discreet 4.4" by 3.2". But it certainly fits some high-tech equipment into a small design! For users looking for a secure, discreet, Alarm.com Camera with some very high-quality recording capabilities and functions, this is truly the device to choose. It is a great addition to any home or business video surveillance setup.